Keep tabs on your driving habits. Driving History makes it easy to keep track of data like miles traveled, miles per gallon, idle time, average speed, and more. It lets you view details of your car’s individual trips and can show your driving activity over a full day, week, month, or year. So whether you’re a parent with a teen driver in the family, or a professional who expenses their travel, Hum gives you the driving history information you need. Hum lets you see your driving history on a trip-by-trip basis, including starting and ending addresses for each one. It can also aggregate your activity, showing you key stats for your driving over a day, a week, a month, or even a custom range. 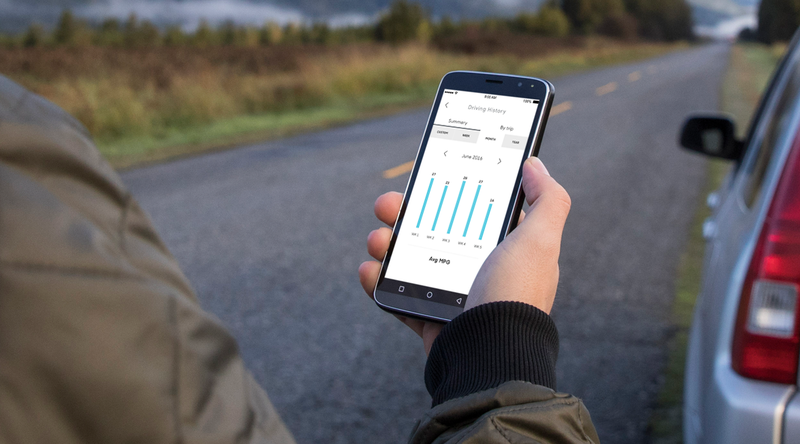 Hum tracks location, distance, trip time, speed, idle time, and even your MPG, providing you with a fully informed picture of your driving stats and habits. Tracking your driving history is a great way to monitor your travel and see where you might find efficiencies on the road. I love the extra features, MPG reports, speed reports, and geofencing. Why can’t I see route information for my trips in my Driving History? Hum does not show route information in Driving History, but it can show you the trips’ start and end points. You can view route information by accessing Safety Score in the Hum app.